So Milan Fashion Week just kicked off and there has been some big names showing their collection already like Gucci and Fendi. 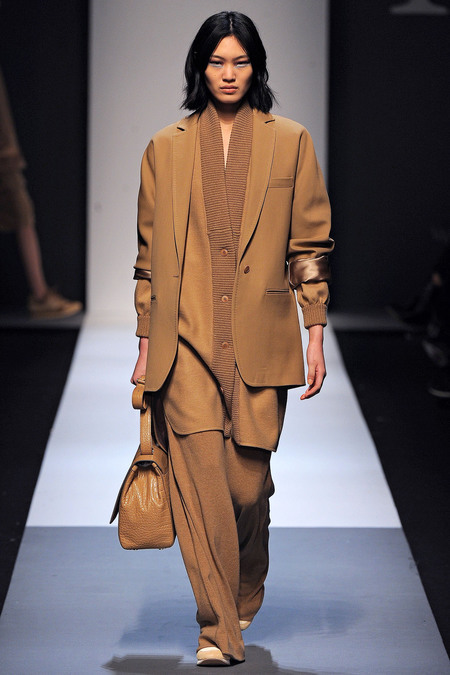 One collection that I found very cool was the Max Mara Fall 2013 show. The models were dressed in camel from top to toe as well as mustard tones, black and grey – all styled with flat comfy sneakers. The sneaker has grown from a trend to a shoe to count on, even on the runway! I think it’s amazing. My absolute favourite looks from the show were the 70s inspired ones with the long hair, slight wavy hair styled with a pair of big framed sunglasses – combined with loose fitted pants in either velvet or satin paired with the v-neck jackets and kimonos. Nice! Gorgeous editorial in the latest issue of Harper’s Bazaar Spain. 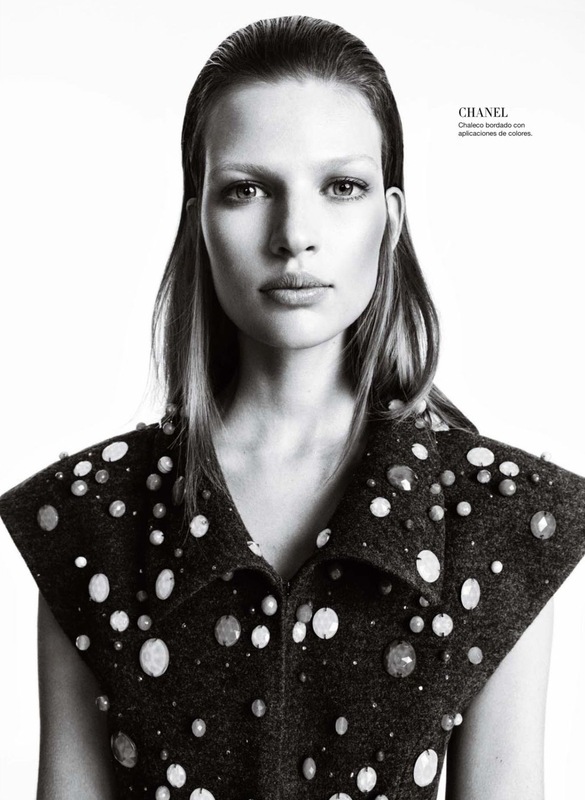 Bette Franke looks stunning in selected pieces from fall 2012 collections by major designers. Photgraphed by Nico.